This entry was posted on March 25, 2015, 3:01 am and is filed under Community. You can follow any responses to this entry through RSS 2.0. You can leave a response, or trackback from your own site. always interested and intrigued on how people approach evaluation as it’s so often done poorly, if at all. Some good ideas here, I like the focus on value creation as opposed to just simple statistical measures of usage. 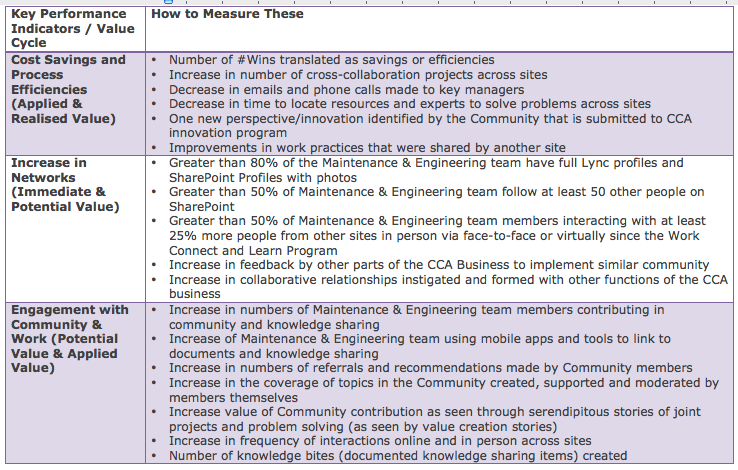 My fave measure: “serendipitous stories of joint projects and problem solving”! I am a fan of qualitative data and think narrative approaches to evaluation provides such a rich source of data – over and above the stats. And taken together the range of your measures should provide a really nice holistic view of the outcomes.